Bridgeview-based international humanitarian organization Zakat Foundation of America (ZF) announces the official registration of its new office in Central African Republic. Although the Council on Foreign Relations has characterized the situation in CAR as a “forgotten crisis,” ZF has been working behind the scenes to establish an office in this dry, landlocked country that lies between Chad and the Democratic Republic of Congo. 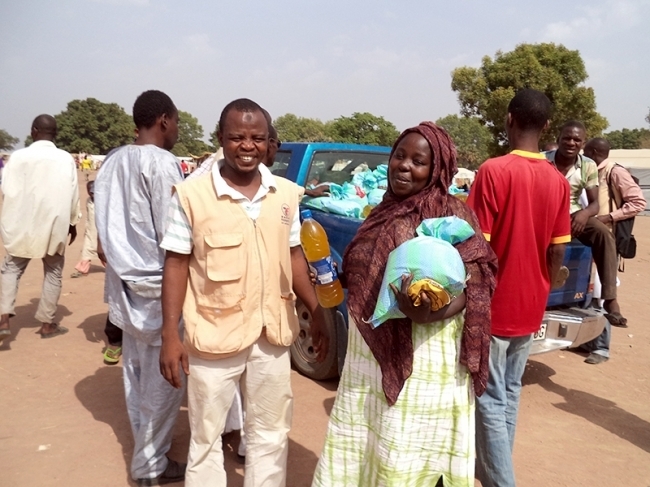 In March the ZF field representative from Kenya traveled to Chad to deliver food aid to a refugee camp that at that time was sheltering 18,000 Central African refugees. The stories he sent back were hair-raising. In late 2012 the Seleka (“Alliance”), a coalition of Muslim rebels, took power. Sectarian violence soon followed as the Seleka engaged in rule-by-terror tactics and, in response, the Anti-Balaka (“Anti-Machete”) group formed, bringing together former security forces and Christian men who wanted revenge. The intense persecution of the Muslim minority has forced hundreds of thousands to flee the country. Those still inside the country are living without basic help or services. ZF is determined to reach into those areas, bringing essential emergency aid and, over time, helping to rebuild the country through educational and infrastructure programs. The establishment of the new ZF office is the first step toward that goal. ZF is a 501(c)3 international charity that helps generous and caring people reach out to those in need. ZF addresses the most urgent needs and builds the self-reliance of the poorest people around the world using the charitable dollars of privileged Muslims and the support of kind-hearted donors of many faiths.